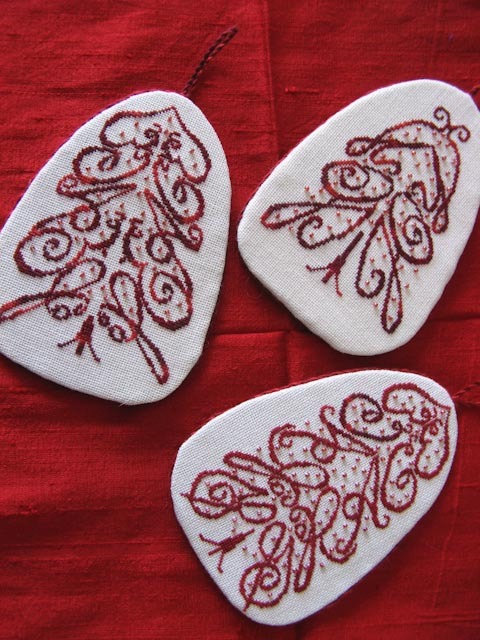 Having recently retired, I have more time to work on things I enjoy. 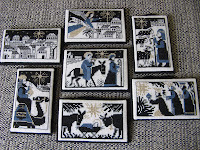 This is a record of my work. 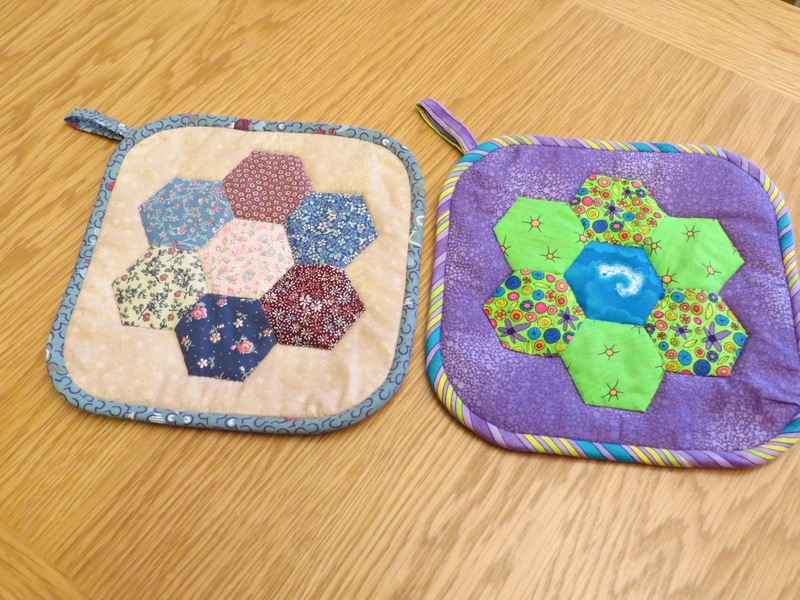 The quilting lessons (& homework!) are becoming the highlight of my weeks. 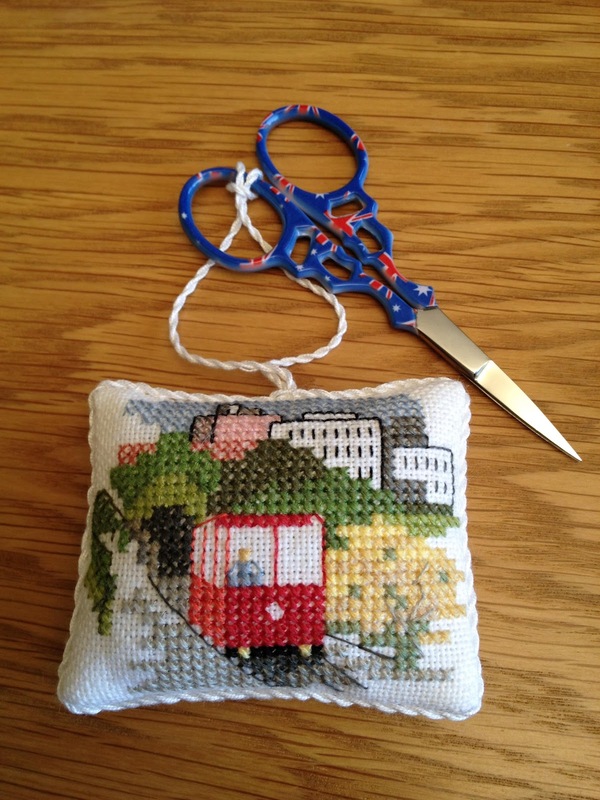 I remember thinking years ago that to cut up fabric just to stitch it together again seemed rather a waste of time and effort, but have to confess it’s lots of fun! 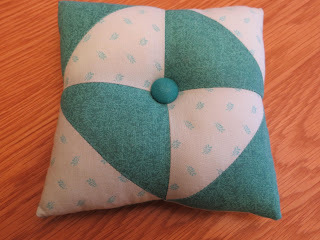 Our first item was a pincushion, but the instructor gave us wrong measurements for some pieces so that gave me a good excuse to make a second (smaller) one. 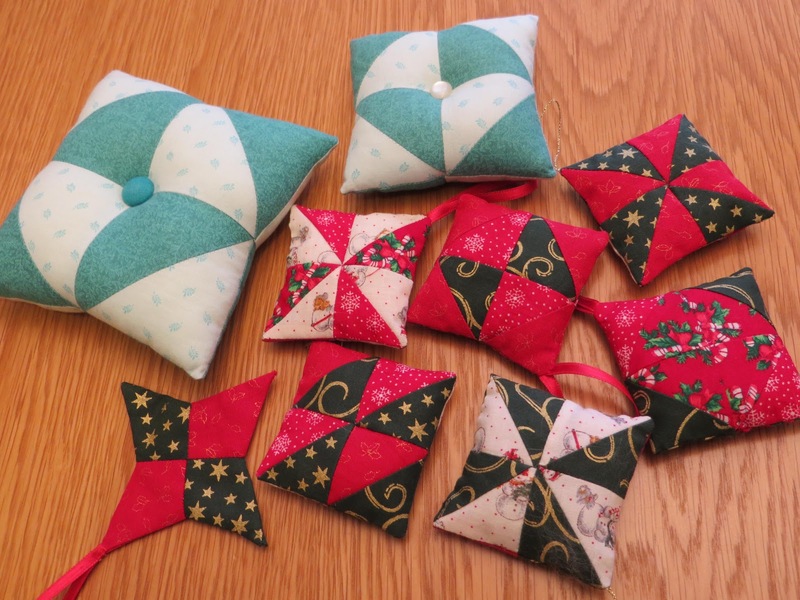 Then I decided they could be changed into Christmas decorations really easily so made up several of these – and learnt about changing the way they triangles are stitched together to make different patterns. 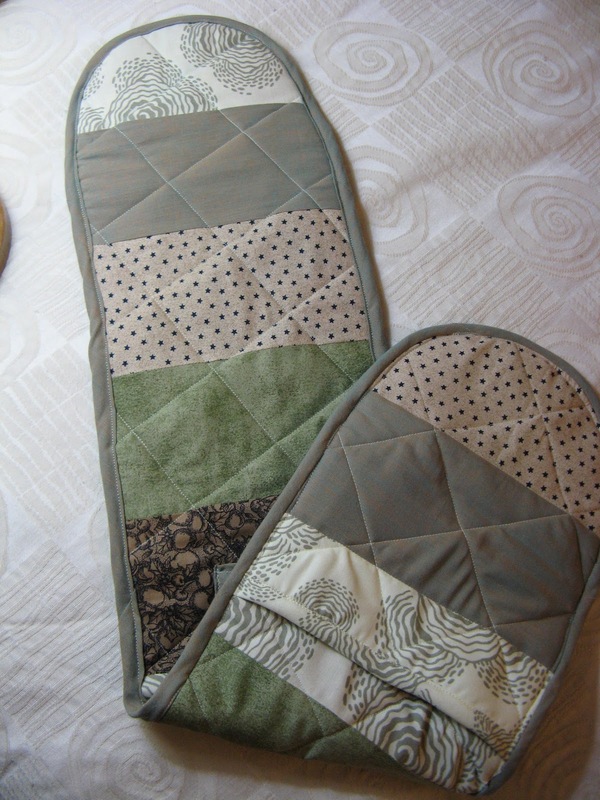 Then it was a hand pieced pot holder. 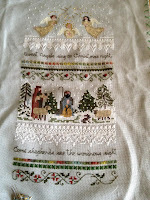 I made mine in a very traditional pattern, but have since made a modern version – for use as a class sample in a display! 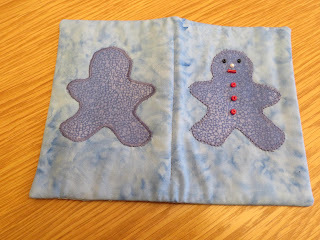 Next was a needlebook using machine applique – great to be learning how to use my machine better too! This week we finished our cushions, and I’m pleased with how mine has turned out. 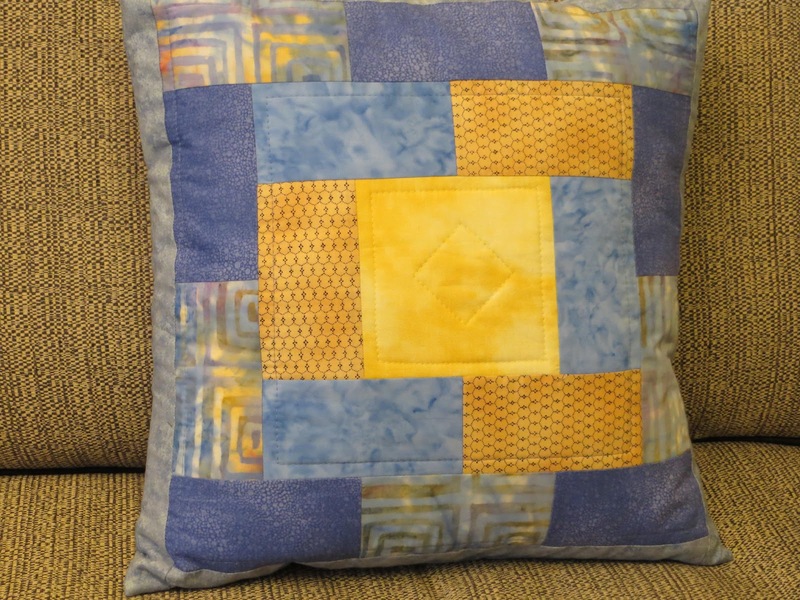 I had bought the fabric thinking about the colours I might use for a new duvet cover, so it’s good to see them working well together. 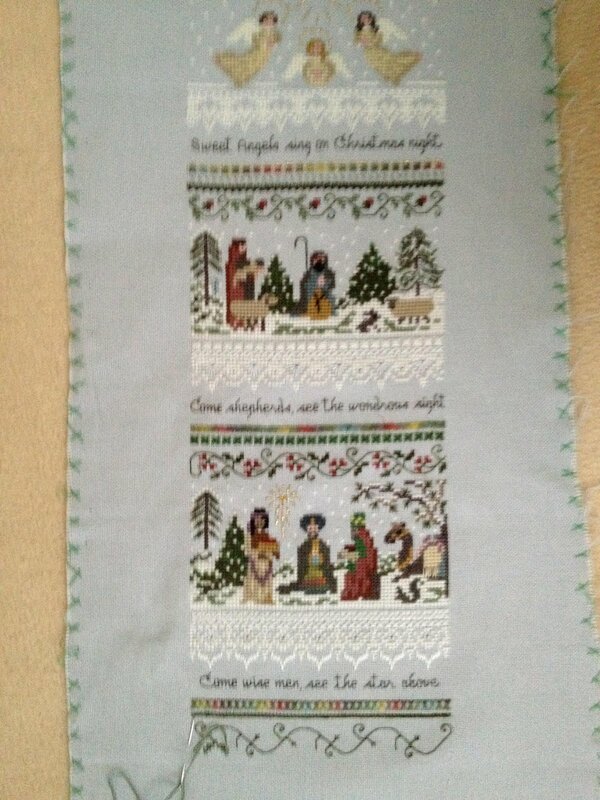 I have also just finished stitching my Nativity sampler, so this week’s target is to complete it as a bellpull. 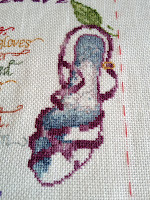 I’ve been making steady progress on both pieces for the last few weeks, which is encouraging. 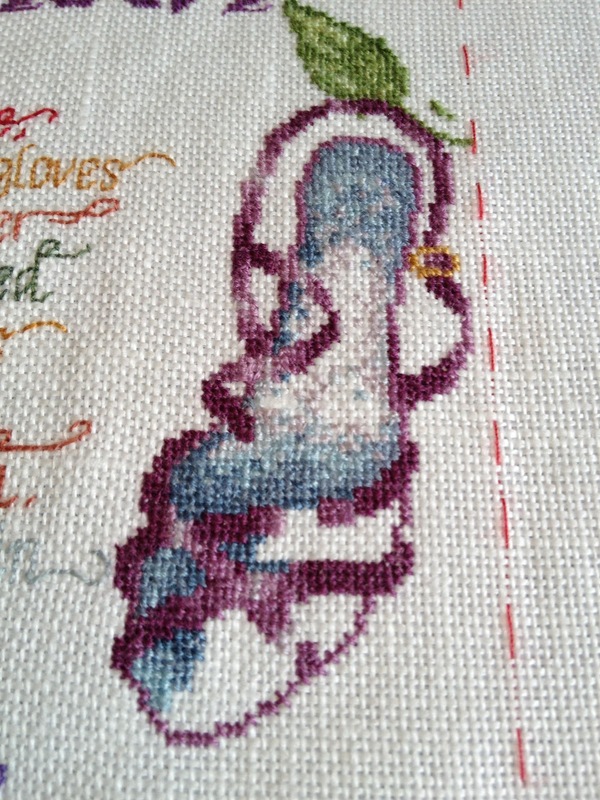 Once I had completed the shoe on Warning I had to decide whether to stop the border there or to complete it the same way as the original design. I finally chose to complete it properly as the border design was one reason that I liked it so much when I first bought it. 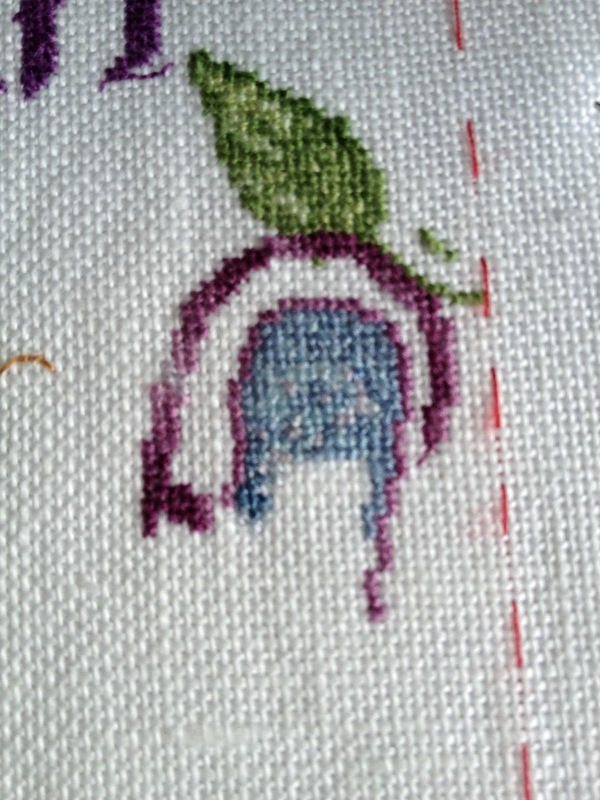 So the progress continues, but I’m not doing the tent stitch shading as that’s not easy over a single thread, nor the netting on the hat itself. 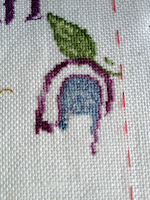 I’ve also discovered the leaves on the vines need to change a bit as the original size doesn’t work very well over one thread either. 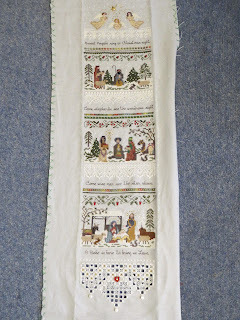 The Heirloom Nativity sampler is growing fast, it’s the narrowest large piece I’ve worked on and I’m enjoying seeing it grow quickly! This week I started an Introduction to Patchwork & Embroidery course – 3 hours a week for 8 weeks. The first day was almost all theory, but good background stuff to know/have reinforced. 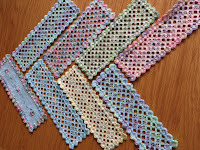 By the end of the morning I had cut 2 3” squares for our first project! But at least I can now use the rotary cutter confidently & feel like I know what I’m doing. This is a huge change for me after using traditional sewing methods (good old Home Science training from University of Otago!) for the last 40plus years. 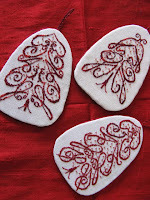 I think I will be ‘unlearning’ lots of things as we go along. 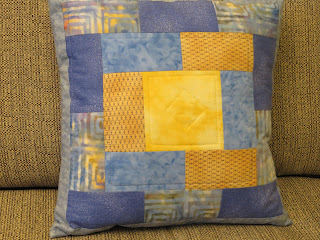 The idea behind going on the course is that I’ve been doing quilting style sewing for some time as and when I needed it in my embroidered work, but have made my own rules and techniques. I decided if I learned how to do it all correctly it would speed up my work and probably make some of it easier. 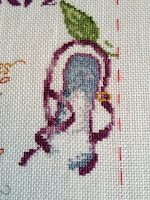 I have now been retired for a few weeks and have been able to make some steady progress on some stitching. 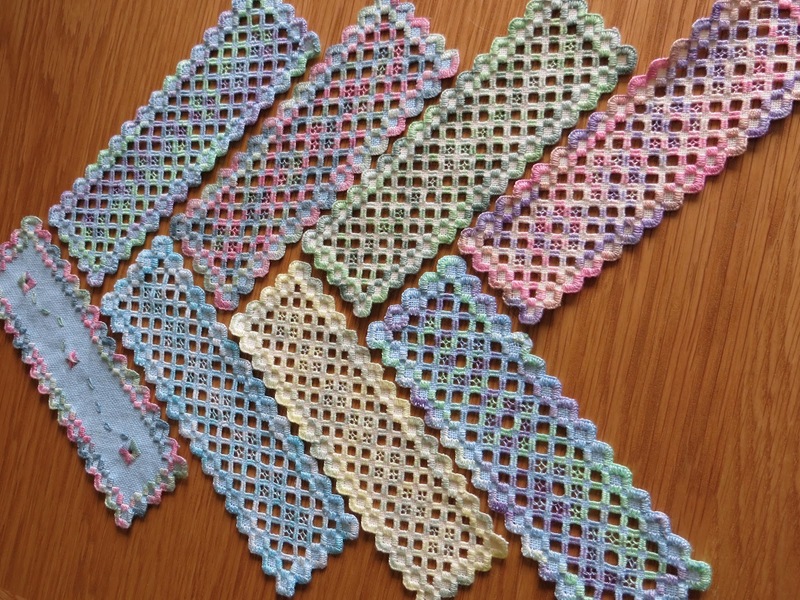 I made several hardanger bookmarks while accompanying Errol on his big ride in July and have given some of these to members of my work team as a parting gift. 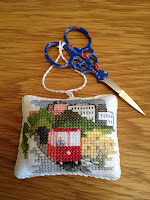 I have recently completed a small New Zealand scene and made it up as a scissor fob for some NZ scissors I was given. I am working on a very old UFO (Sue Hillis’ chart of Warning) in the afternoons and am pleased with how it is progressing. 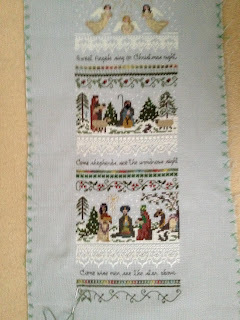 I discovered that taking photos of it after each days stitching is quite an incentive as the changes are quite noticeable. 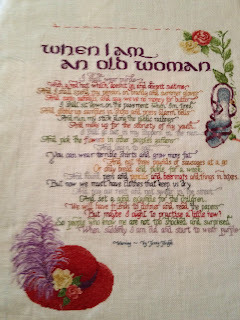 The original design was much larger than I wanted so I started again on the same fabric working with one strand over one thread - on 36 count fabric which is why it is taking so long and proving so challenging. 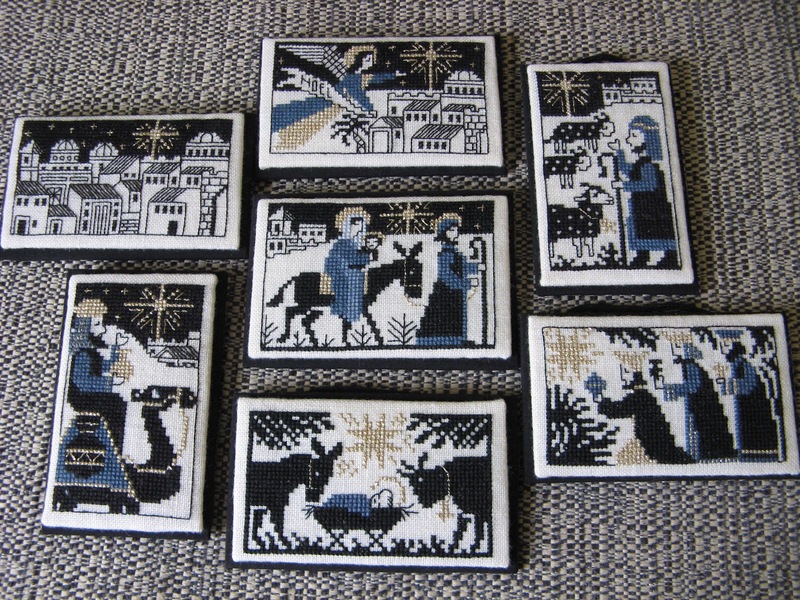 The first photo shows how it had been left for the last few years. 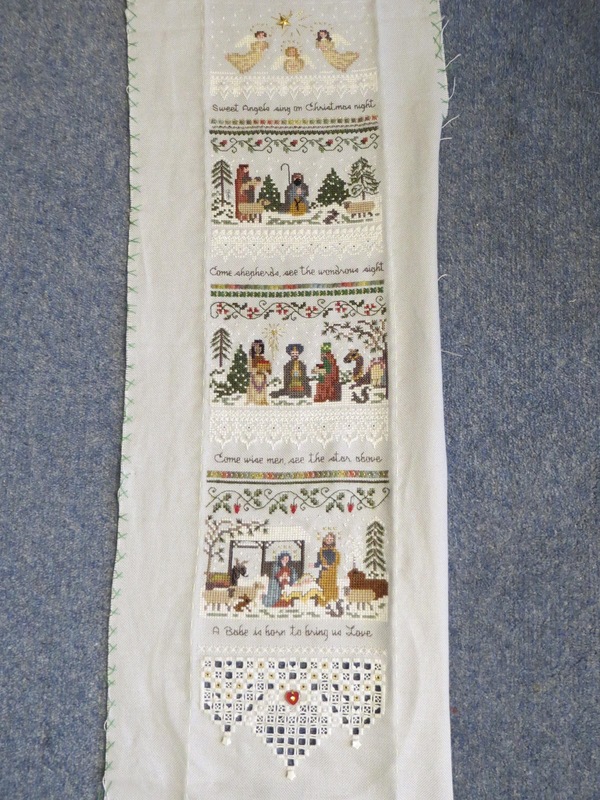 In the evenings I am now working on one of the Victoria Sampler charts, Heirloom Nativity, and am encouraged by how quickly it is growing.